The Scottish Rite Masonic Museum & Library offers opportunities to explore American history and culture for all ages. We welcome school, adult, and community groups. For more information check the FAQs, contact info@srmml.org, or call 781-457-4142. You can download our brochure here [link to pdf]. Guided Tours: The museum offers guided tours of any current exhibition in our galleries. Cost: $6 per person for 60-minute tour. Guided tours or programs on weekends require a 50% deposit due within 5 days of booking your tour or program. Payment can be made by credit card, check, or cash. Cancellations made less than 7 calendar days before the tour or program will forfeit the deposit. Exceptions will only be made for extreme weather-related conditions.There is a minimum charge of $72 for guided tours of fewer than 12 people. Self-Guided Tours: There is no charge for self-guided tours, but if you have 10 or more in your group, you must make a reservation at least 2 weeks in advance. Although admission for these groups is free, we welcome donations. To Book a Tour: Please register as early as possible to reserve your preferred time and date. 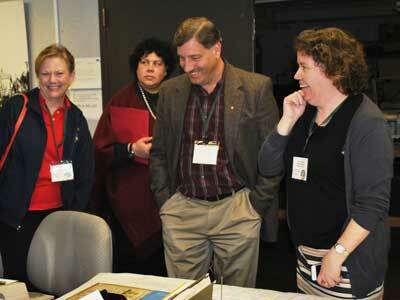 To schedule a group visit, call 781-457-4142 or e-mail groups@srmml.org. For questions not addressed in the FAQ section please call 781-457-4142 or email groups@srmml.org. Payment is required upon arrival and can be made by cash, check, or credit card. A deposit of 50% is required for weekend tours and programs only. Checks can be made out to the National Heritage Museum. We accept any of the following credit cards: American Express, Visa, MasterCard, or Discover. If you need to cancel or reschedule your visit, please give us seven (7) calendar-days notice for guided school, scout, and adult tours or programs. Exceptions will be made for weather-related cancellations or school closings. Exceptions can be made to our cancelation/rescheduling policy if weather conditions prohibit travel. If weather conditions are bad, but you are still able to visit, please call the museum snow line to ensure that we are open: 1-800-814-1432, ext. 3204. If your school district closes due to weather on the day of your visit, please inform us as soon as possible. What if we're going to be delayed? 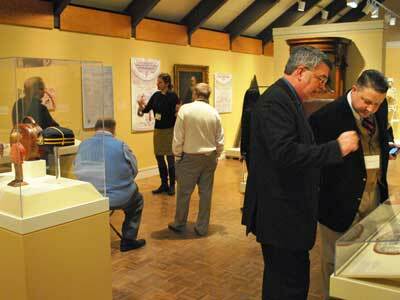 Please call the museum receptionist at 781-457-4101 if you will be delayed. Student groups must bring one chaperone for every ten students. Chaperones are responsible for the safety and behavior of the students. They should remain with that group while at the museum. Your group should be dropped off at our front entrance. The bus driver should park in our lot. Group leaders should check in at the front desk located just inside our lobby. Can we eat at the museum? There is no food, drink or chewing gum allowed in the exhibition galleries. Groups are welcome to picnic on the grounds in good weather. Unfortunately, we do not have indoor eating facilities for student groups. Can students work on assignments in the gallery? Students in a paid tour or workshop should not have another assignment to work on during their program time. At other times, students may use clipboards or notebooks and pencils in the gallery.